Yoofca – Catering in Orlando area. – Best Catering & Best Baklava in Town! Yoofca bites minimum order total has to be $300.00 Small parties are welcome! Thank you! Can you remember when was the last time you hosted a dinner party, celebration or any special event at your home and actually had the time to enjoy the fun, food and your guests? I bet you don’t. There are so many aspects to consider when it comes to planning a corporate event, and food is arguably the most important. Whether you have an upcoming business meeting or product launch party, you need to make sure that your guests are well-fed with great food—and that doesn’t mean playing it safe with boring sandwiches. It’s important that the food at your event is in sync with your business values. Are you a company that is willing to take risks? Do you plan to reinvent a classic? Do you place emphasis on the small details? Whatever you’re hoping to communicate, you can count on Yoofca! What will be your desire budget ? ONE IS NOT ENOUGH. EAT RESPONSIBLY! Baklava a rich, sweet pastry made of layers of filo filled with chopped nuts and sweetened and held together with syrup or honey. 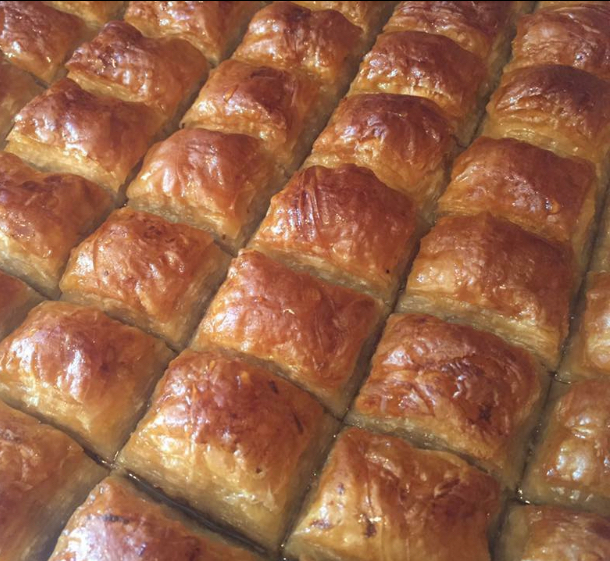 Baklava is characteristic of the cuisines of the former Ottoman Empire, and is also found in Central and West Asia.